The Michigan food poisoning lawyers at our firm are frequently contacted by clients regarding food poisoning lawsuits. These claims arise when people become ill from food purchased at retail stores,and at restaurants. We also handle food poisoning cases for clients who become sickened at banquets, weddings, and other events. People with serious food poisoning injuries do have legal rights. Food poisoning, also known as food borne illnesses, is common in the United States and can often result in very serious injuries. Food poisoning is especially dangerous in cases involving children, the elderly, and those who have compromised immune systems. In the United States, there are an estimated 76 million cases of food poisoning or food borne illnesses each year, resulting in approximately 325,000 hospitalizations and 5,000 deaths. The most commonly recognized food poisoning cases are those caused by the bacteria Campylobacter, Salmonella, E. coli, Botulism, and by a group of viruses called calicivirus, also known as the Norwalk and Norwalk-like viruses. A bacterial pathogen that causes fever, diarrhea, and abdominal cramps. It is the most commonly identified bacterial cause of diarrhea illness in the world. These bacteria live in the intestines of healthy birds, and most raw poultry meat has Campylobacter on it. Eating undercooked chicken or other food that has been contaminated with juices dripping from raw chicken is the most frequent source of this infection. A bacterium that is widespread in the intestines of birds, reptiles and mammals. It can spread to humans via a variety of different foods of animal origin. The illness it causes, salmonellosis, typically includes fever, diarrhea and abdominal cramps. In persons with poor underlying health or weakened immune systems, it can invade the bloodstream and cause life-threatening infections. A bacterial pathogen that has a reservoir in cattle and other similar animals. Human illness typically follows consumption of food or water that has been contaminated with microscopic amounts of cow feces. The illness it causes is often a severe and bloody diarrhea and painful abdominal cramps, without much fever. In 3% to 5% of cases, a complication called hemolytic uremic syndrome (HUS) can occur several weeks after the initial symptoms. This severe complication includes temporary anemia, profuse bleeding, and kidney failure. Also known as Norwalk-like virus is an extremely common cause of food borne illness, though it is rarely diagnosed, because the laboratory test is not widely available. It causes an acute gastrointestinal illness, usually with more vomiting than diarrhea that resolves within two days. Unlike many food borne pathogens that have animal reservoirs, it is believed that Norwalk-like viruses spread primarily from one infected person to another. In restaurants, infected kitchen workers can contaminate a salad or sandwich as they prepare it, if they have the virus on their hands. Infected fishermen have contaminated oysters as they harvested them. Contamination usually arises from improper handling, preparation, or food storage. Good hygiene practices before, during, and after food preparation can reduce the chances of contracting an illness. You can protect yourself by choosing which restaurants you patronize, but there are food poisoning outbreaks at major restaurant chains. Restaurants are inspected by the local health department to make sure they are clean and have adequate kitchen facilities. The statute of limitations for Michigan food poisoning cases varies from state to state. In Michigan, you must file a lawsuit within three years of the date of the poisoning. It is important that you hire a food poisoning lawyer as soon as possible so that your claim is not destroyed due to a missed deadline. 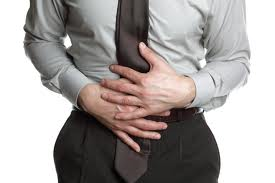 Our Michigan food poisoning lawyers will represent you in your case under our NO FEE PROMISE. This means that you will not be charged any legal fees whatsoever unless we obtain a settlement or recovery for you. You have absolutely no obligation for legal fees unless we win your case. If we do not obtain a settlement for you, you owe us nothing! Individuals who have suffered injuries due to food poisoning should contact the Michigan food poisoning lawyers of Buckfire and Buckfire, P.C. Call us now at (800) 606-1717 to speak with one of our attorneys about your case and learn your legal rights.